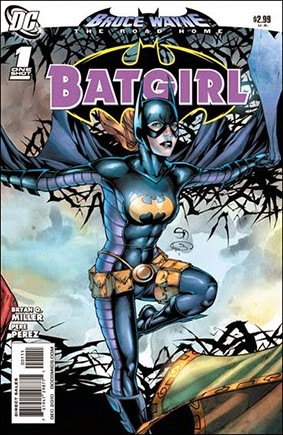 • PLOT SUMMARY: Bruce Wayne The Road Home: Part 4 - Batgirl no more? Is Stephanie Brown's brief tenure as Batgirl in jeopardy now that Bruce Wayne has returned? Or will Bruce's homecoming mean bigger and better things for Gotham City's premier heroine? (W) BRYAN Q. MILLER. (A) PERE PEREZ. (CA) SHANE DAVIS.